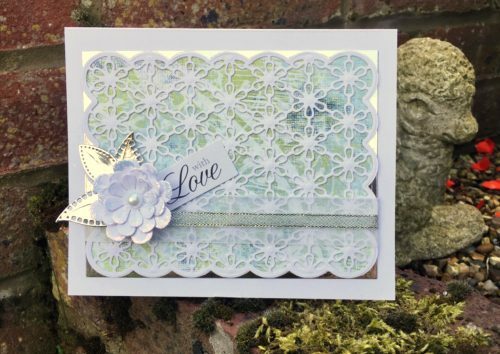 Hi everyone, it’s Christine with a romantic lacy die cut card – perfect for a wedding! Applying delicate die cuts can often be tricky but they are no longer a problem with Adhesive Sheet 4 x 6″. 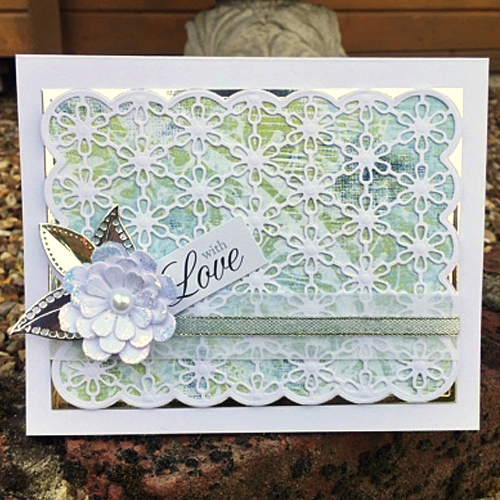 I die cut this beautiful trellis design and it was easy to affix to my patterned paper background. Definitely more favourable than liquid glue. 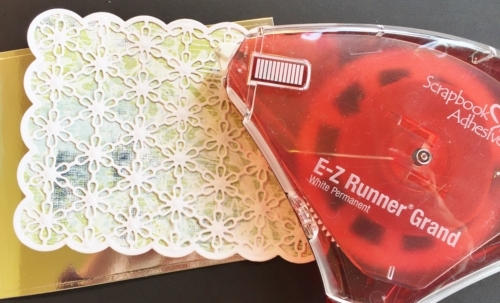 Once affixed, I used E-Z Runner® Grand Refillable Dispenser to attach to a silver foil card mat. With 150′ feet of adhesive it is going to last a long time! 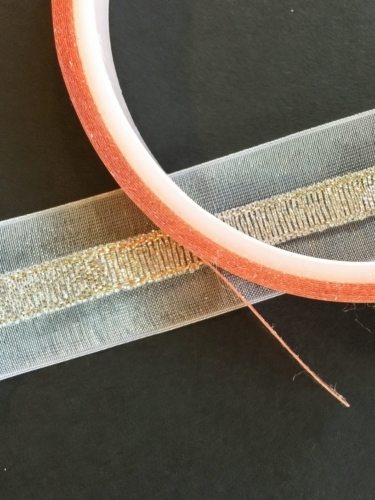 To adhere silver ribbon to satin Extreme Double-Sided Tape 1/4″ Permanent does the job with ease. I used 3D Foam Squares White Small to attach the flower and leaves. 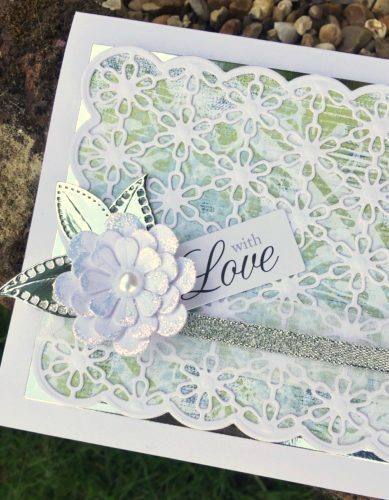 The finished card – perfect for a wedding or anniversary. 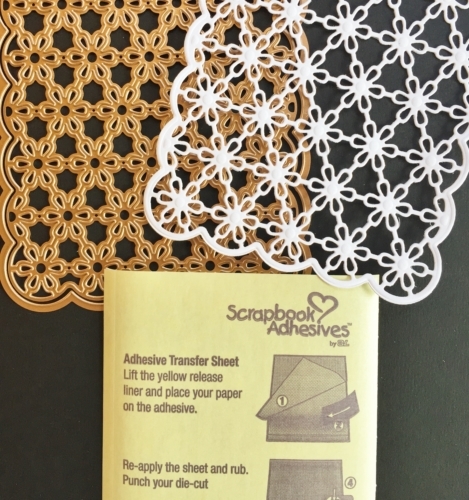 See Creative Uses for Adhesive Sheets here! This entry was posted in 3D Foam Squares, Adhesive Sheets, Adhesives, Cards, Crafts & Tutorials, E-Z Runner® Grand, Extreme Double-Sided Tapes, Tutorial and tagged 3D Foam Squares Mix White, 3D Foam Squares Small White, Adhesive Sheets 12x12" (25 sheets), Adhesive Sheets 12x12" (5 sheets), Adhesive Sheets 4x6", Adhesive Sheets 6x12", Anniversary, Christine Emberson, E-Z Runner Grand Dispenser, Extreme Double-Sided Tape 1/4", Little Yellow Bicycle, Ribbon, Spellbinders Paper Arts, Tutorial, Video, Wedding. Bookmark the permalink.